Should I Be Concerned about Asbestos in Cement? In the 20th century, when asbestos was one of the most valuable materials around, the usage of which thousands of successful American business models were designed, all industries with a powerful role in society were incorporating the toxic mineral into their products, including mixing it in the composition of cement. Extremely desirable for its high resistance to heat and for its insulator qualities, asbestos would make up about 15% of the final cement compound. When it comes to asbestos cement, it is difficult to identify the fibers, as they are uniformly scattered at the time of the cement production, leading to them being undetectable at the end of the process of cement-making. An unfortunate consequence of this is that when enough time has passed and erosion has been naturally breaking down the hardened aggregate, dangerous asbestos fibers are, nevertheless, released into the air transforming the entire area into a health hazard. 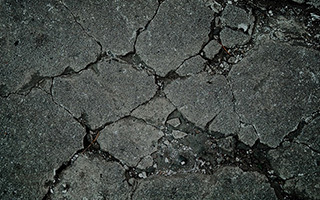 It is only by professional intervention and evaluation that the presence or lack of asbestos in a material, such as cement, can be correctly discerned. Reports show that in the majority of the cases cement manufacturers used a type of asbestos called chrysotile, which is the most well-known form of asbestos, but following in second place is crocidolite, which is categorized as being the most life-threatening of them all. It is not just first-hand exposure that should be taken into consideration but also a secondhand kind of vulnerability, targeting the families of those carrying the fibers on their work clothes in spaces their loved one would be at risk of inhaling them. Asbestos is a very dangerous mineral, and if found inside the hous,?it should be removed as soon as possible. ?The best way to do so is to contact professional workers who specialize in asbestos removal. If, however, you would prefer to do it yourself, you can check out our Asbestos Removal page to find out how you can safely do so. Unfortunately, there were very few individuals aware of the health dangers associated with exposure to asbestos, which means that protective measures and equipment were almost never a matter of discussion. Most of the people that have worked with asbestos were unaware of the risks of doing so and, therefore, robbed of the chance to opt out of the job or at least take the necessary precautions.